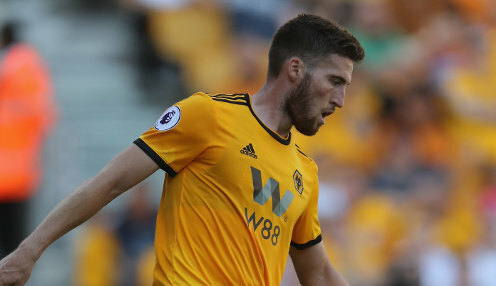 Matt Doherty wants a positive start to Ireland's Euro 2020 campaign to set him up for a strong finish to Wolves' superb season. Nuno Espirito Santo's side have booked a spot in the semi-finals of the FA Cup and sit seventh in the Premier League as the Republic of Ireland prepare to begin Mick McCarthy's second spell in charge by facing minnows Gibraltar on Saturday. Doherty found himself shut out by previous boss Martin O'Neill, but McCarthy – a former Wolves boss – has wasted no time in getting the impressive full-back into his mix. The 27-year-old was a frustrated bystander during the reign of O'Neill, despite impressing for his club. He suggests that slight by the former Irish boss wasn't wasted on him, and he is content that his own hard work has started to pay off. Right now I've probably never been playing better. "I didn't start the season too well. I've got myself a lot fitter, even fitter than last season," he told RTE Sport. "Confidence is everything and I'm super-confident at the moment. Every time I go out and play I feel great when I'm playing. "Right now I've probably never been playing better. Confidence is a lot to do with and it never really left me." Ireland must make a fast start in their qualifying campaign, with a trip to Gibraltar followed by a home game against Georgia. "We need to get off to a good start for us and our manager. We need to beat Gibraltar on Saturday - if you slip up there, that wouldn't be good - then the home game against Georgia, which will be a bit more difficult as they are quite technically good and better than people might think. "The first two games could make all the difference," Doherty added. He'll also have an FA Cup semi-final against Watford to look forward to next month and Wolves have shown this season they have the belief to go all the way and lift the trophy. Asked if Wolves can win the cup, Doherty replied: "Yes, of course. I know Manchester City are still in there, but we have managed to avoid them. I know they'll be favourites, but we have drawn with them this season. Wolves are 1212/1 to win the FA Cup, with Manchester City 1/8 and Watford priced at 5/1.